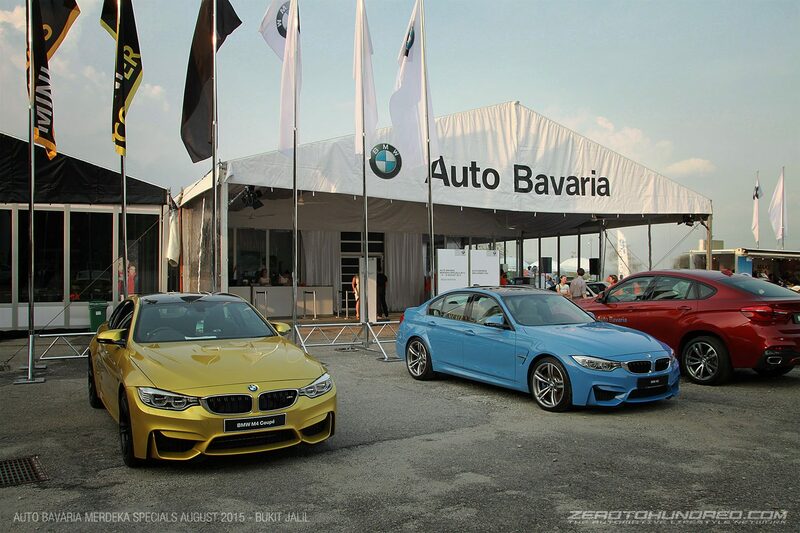 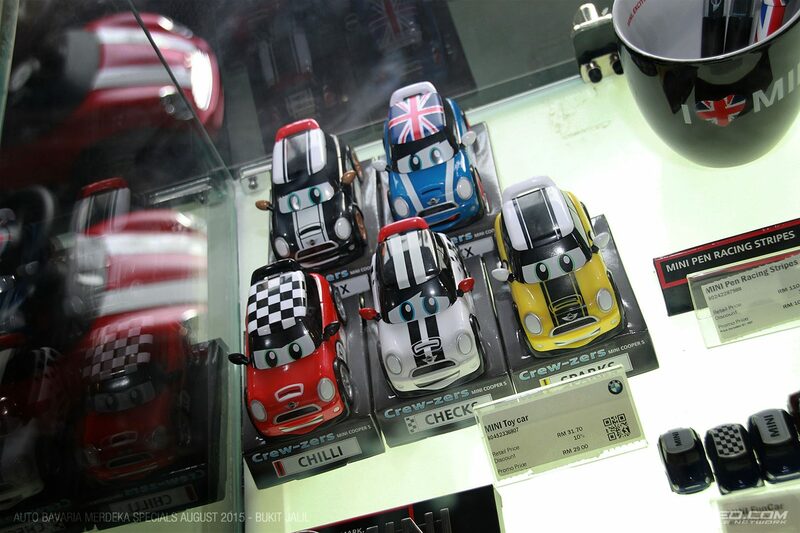 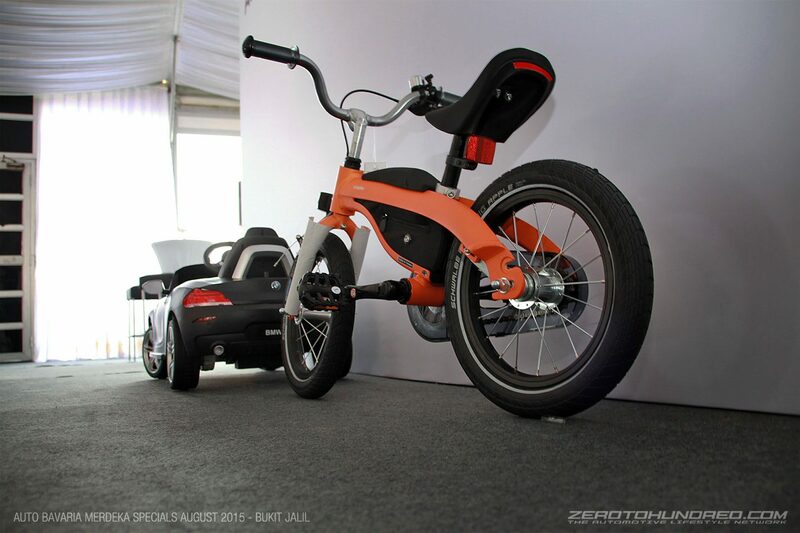 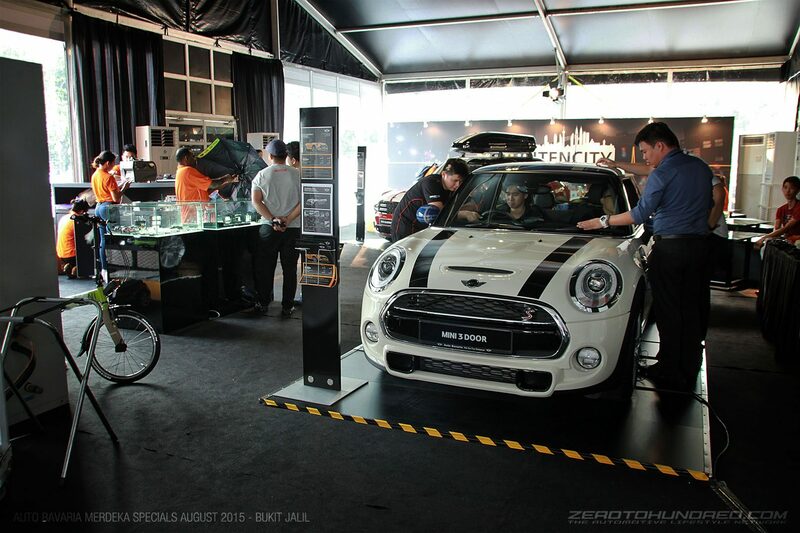 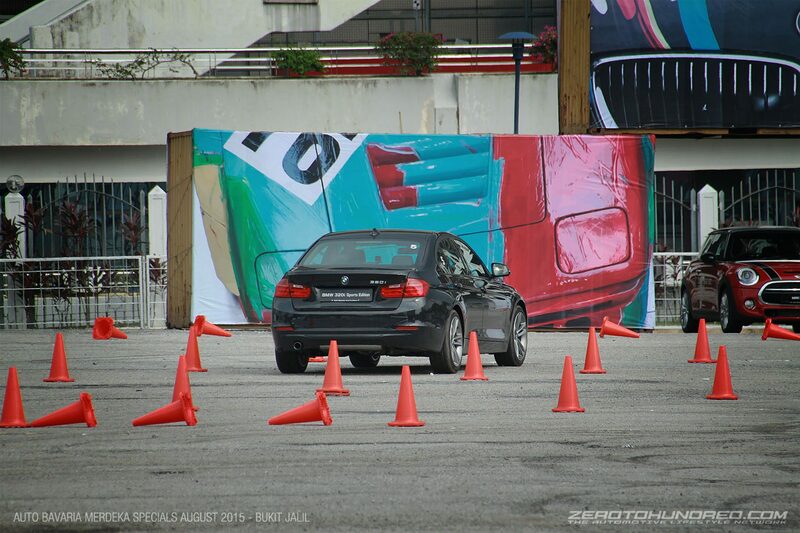 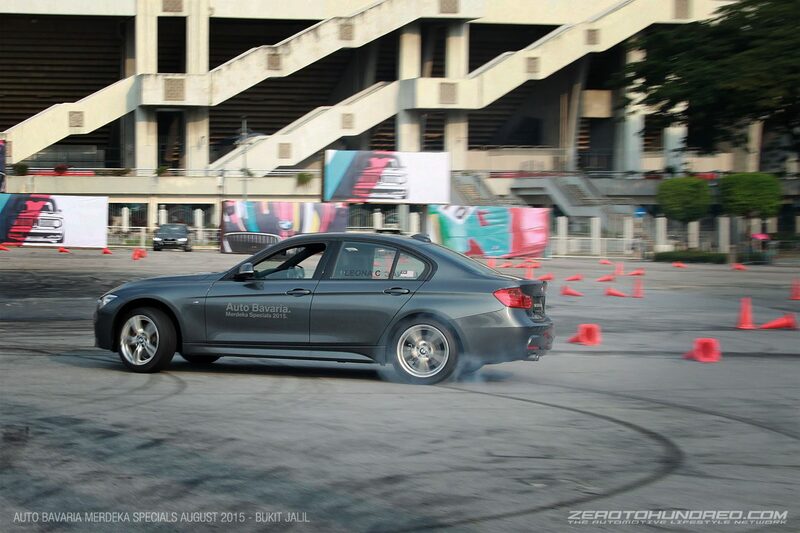 Last weekend, Auto Bavaria, Malaysia’s premiere dealer for BMW cars mobilized a 3-day sales and exhibition event which included a sample of their famed BMW Advance Driving course for the public, potential customers and existing customers. 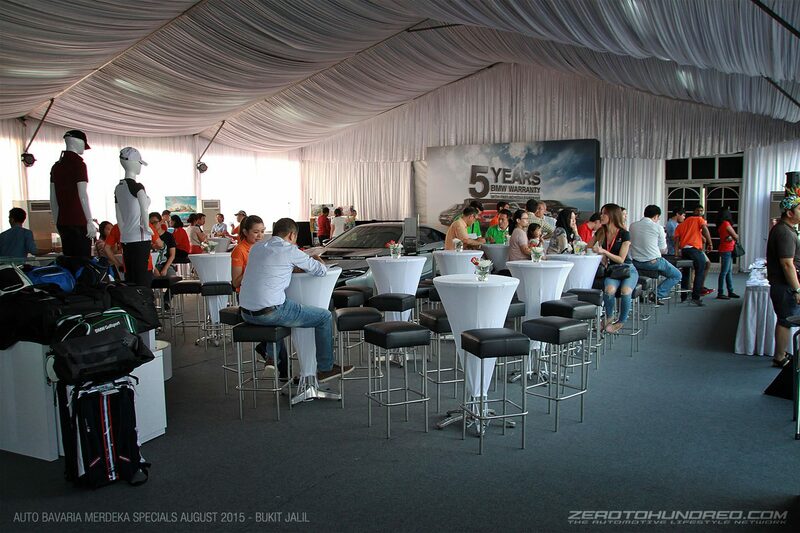 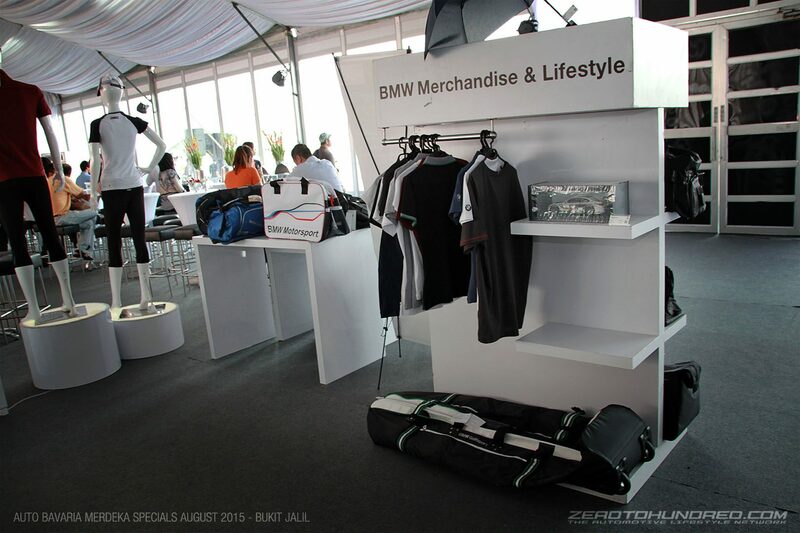 Dubbed the Auto Bavaria Merdeka Specials, it is their biggest annual event to promote their BMW purchase rebates, 5-year unlimited mileage warranties, free scheduled service, BMW Lifestyle merchandise and special sub events featuring BMW Performance Showcase and the MINI Excitement Drive Experience. 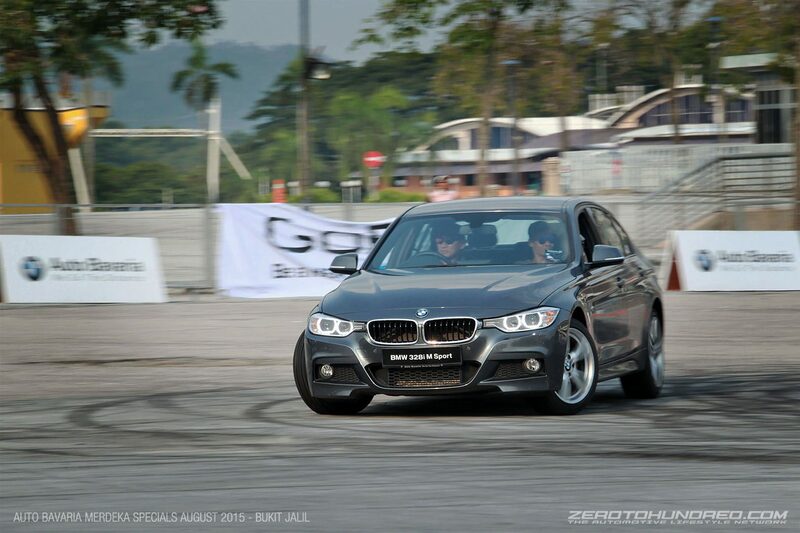 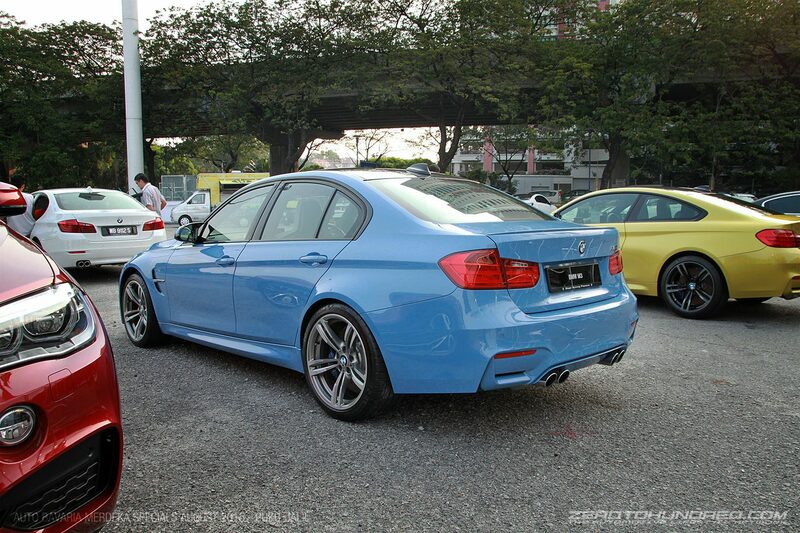 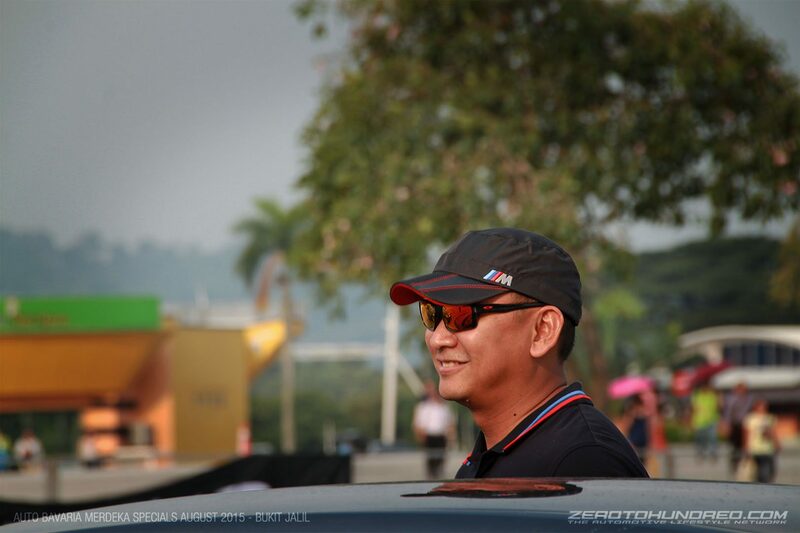 Professional hired drivers such as Hamdan Rohman and girl driver, Leona Chin were tasked with showing off the intricate abilities of BMW cars, specifically the 3-Series 328i Sport model. 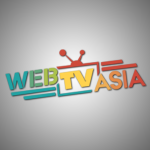 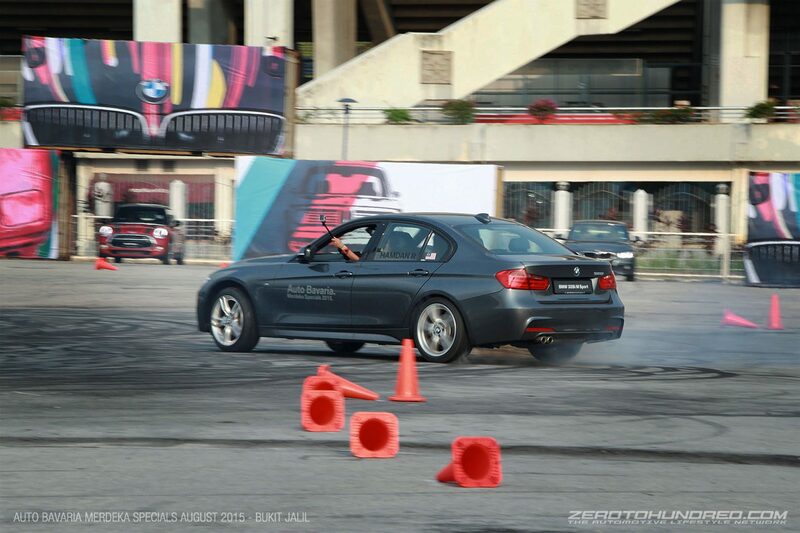 There was a special place for guests like us too, where Auto Bavaria and their team of professional advance driving instructors gave crucial lessons on defensive driving and.. 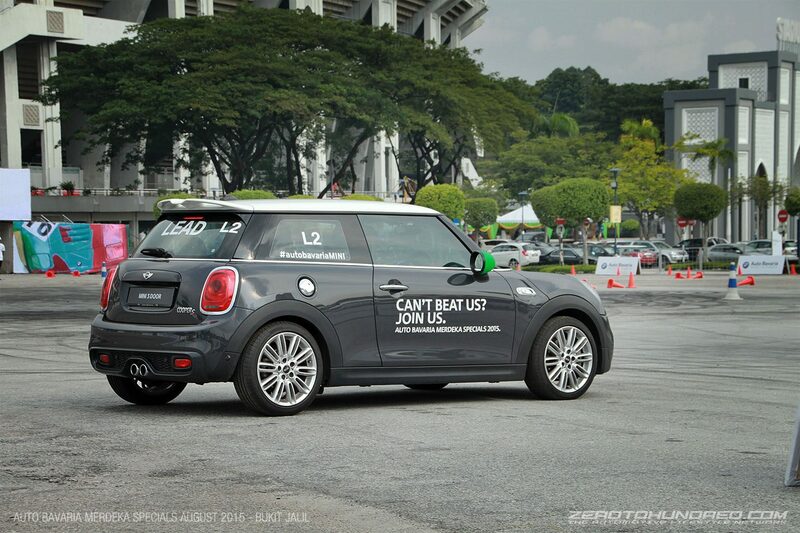 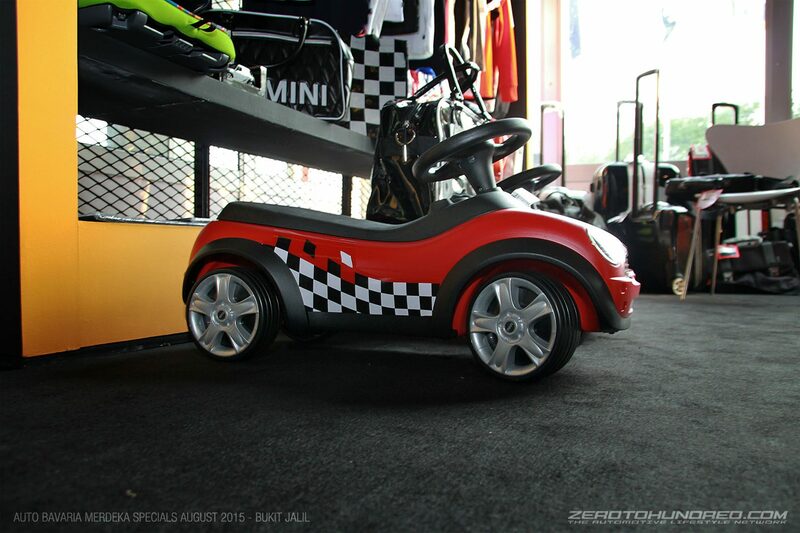 This includes the use of MINI’s latest 5-door models! 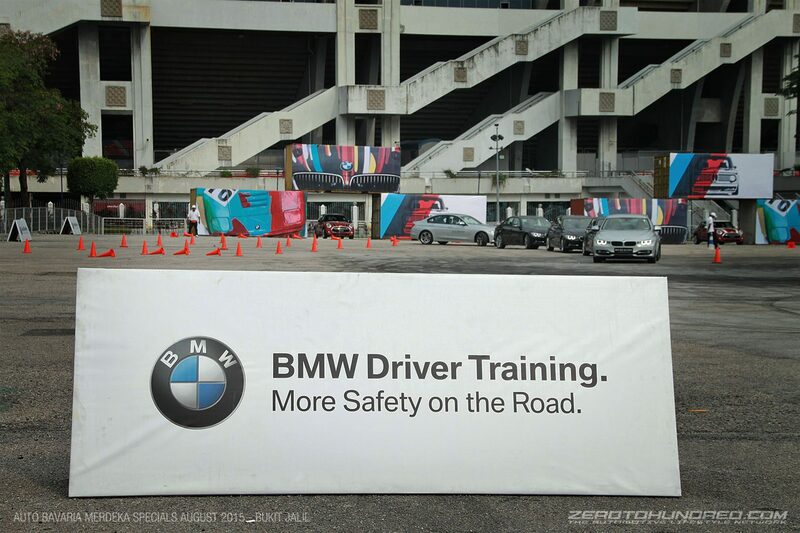 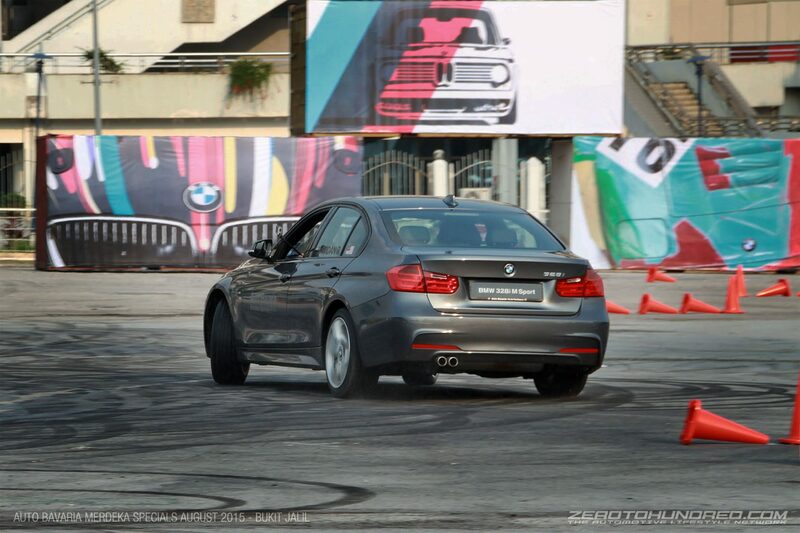 As for the BMW advanced driving course, we were given a crash course on emergency braking via ABS followed by a brake-steer course involving braking and subsequent avoidance of obstacles. 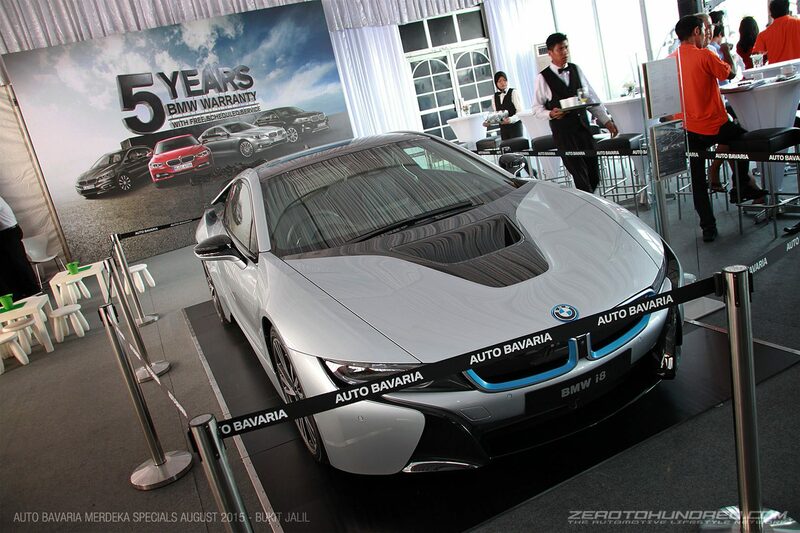 The i8 was on site too.